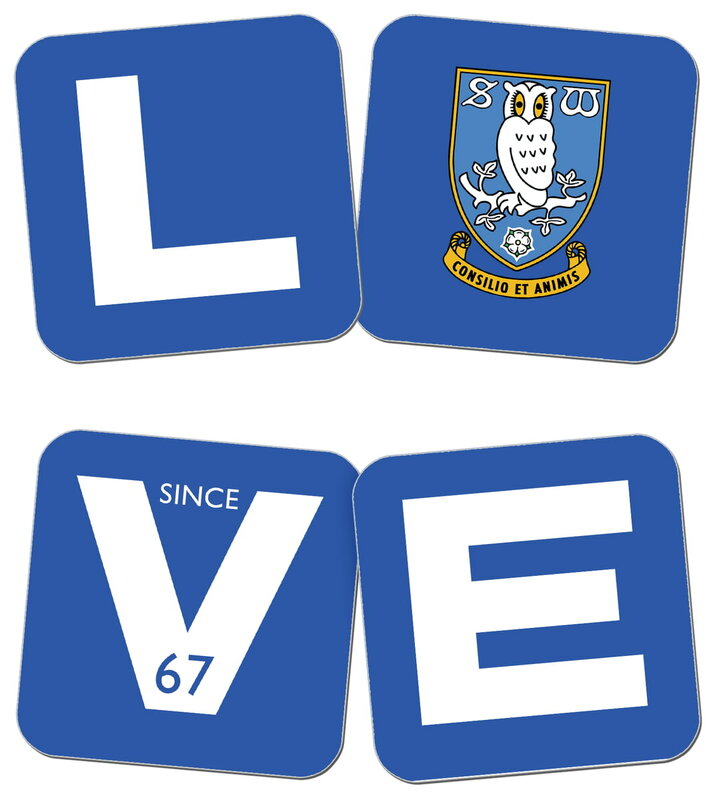 The personalised Sheffield Wednesday Love Coasters are a fabulous present for any occasion. We merge your chosen personalisation onto the stylish design to make a fun and unique set of coasters that are guaranteed to make your recipient smile. Printed in full colour onto high quality coasters, this is a fabulous addition to any home, office or desk. This is a fabulous present for any Sheffield Wednesday FC fan and is approved and fully licensed by the Club. This Sheffield Wednesday Evolution Print is the perfect gift for any occasion. This truly stunning gift is sure to raise a smile as the recipient sees their personalisation on the Sheffield Wednesday I Am CLUB Mug.